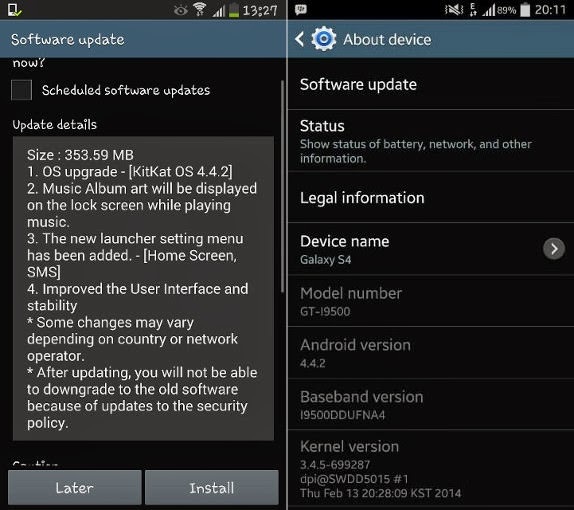 Samsung has ongoing rolling out Android 4.4.2 KitKat updates for the Samsung Galaxy S4. The new update brings with it a KitKat style white status bar notification icons, an improved lockscreen with a camera shortcut, fullscreen album art, improved keyboard, new emoji support and an option to choose between the stock messaging app or Google Hangouts to send or receive texts among others. The Android 4.4.2 update is shown to clock in at 353.59MB, so it’s advisable to latch on to a strong Wi-Fi connection before attempting the download. Besides the native Android changes, the Samsung Galaxy S4 obviously gets a few TouchWiz UI improvements and changes as well. 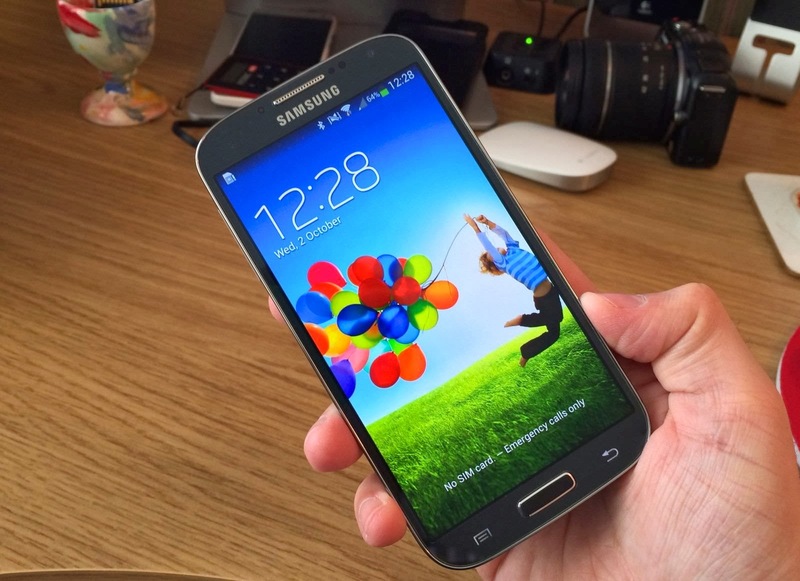 Samsung Users will need to 1GB of free space to download and install the update on their phones. For those who haven’t got a notification about a software update can head to Settings -> About Phone -> Software Update -> Update, to manually check about the update.